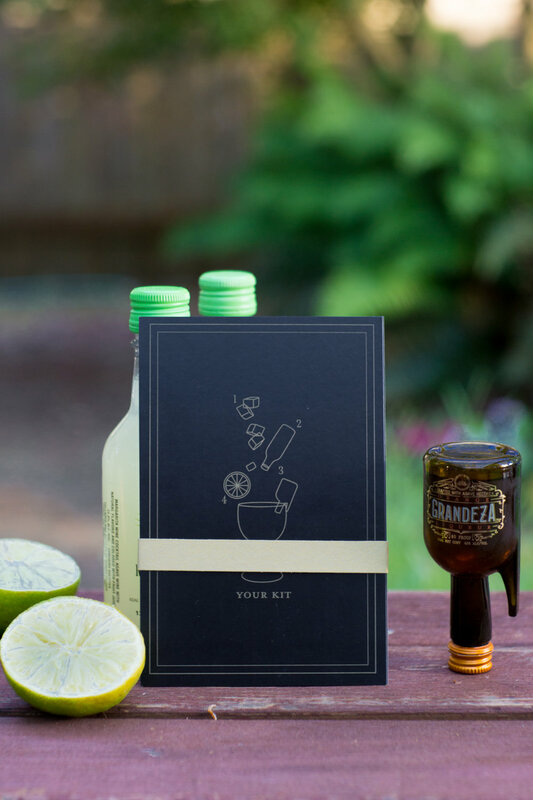 My firm was approached by Grandeza to create press kits that would surprise and delight, so we put together these fun margarita kits to introduce the product. These recipe cards were designed for a themed press kit to be sent out to local writers and media contacts to announce the launch of the brand. The design and style I chose for the card pulled from elements of the existing logo, and incorporated a minimalist illustration style to create a modern feel to go with the speakeasy look. 4 cards 4" x 6" for a margarita kit.